Lenny Kravitz | Black and White America - TheUrbanMusicScene.com | Music Reviews! 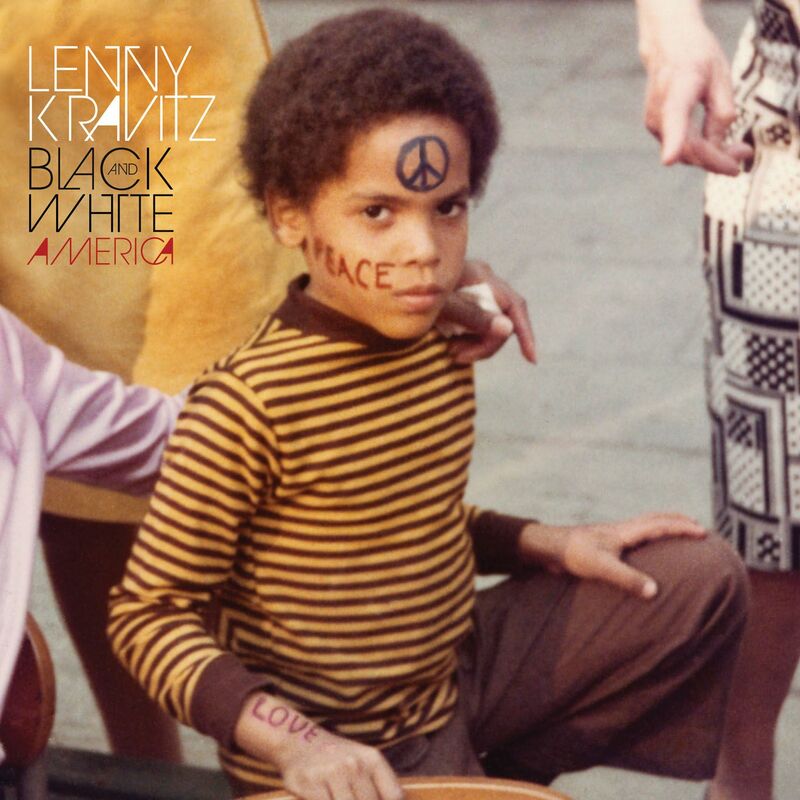 With his ninth studio effort Black and White America, soulful, psychedelic rock-veteran Lenny Kravitz delivers his best studio effort in years. The full range of influences are in effect on this superb effort, which finds Kravitz channeling his idol Prince and perhaps most surprisingly Marvin Gaye (“Liquid Jesus”). Produced, composed, and arranged by the multi-instrumentalist (with some aid from co-songwriter Craig Ross and several appearances by trombone standout Trombone Shorty), the concept and soundscape of this socially-conscious, political effort is nothing less than exceptional. Through sixteen solid cuts, there are no misses to be found whatsoever. The album opens with the overt title cut (“Black and White America”), which is buttressed by an exceptional four-on-the-floor groove. The songwriting is solid and the arrangement with horns nothing short of brilliant. “Black and White America” is a fine way to kickstart this energetic effort. The capable and credible “Come On Get It” continues the high energy established by the opener, horns and all intact. A gritty howl by Kravitz instantly sets the rock-soul tone of this effort. Additionally Lenny’s guitar solo is ‘killer.’ “In the Black” may not quite achieve the lofty heights of its predecessors, but it is yet another above par, worthwhile listen and the first cut penned solely by Kravitz. Here, Kravitz channels 80s Prince both vocally and instrumentally. He switches gears to channel the ‘king of the socially-conscious,’ Marvin Gaye on the soulful, spiritual “Liquid Jesus” which strikingly resembles Gaye cuts like “What’s Going On” and “Mercy Mercy Me (The Ecology).” Four for four Mr. Kravitz. the overall effectiveness of this cut: “Stand, stand up again…” “Superlove” proves none too shabby itself given its funkily contrived production work. The songwriting on the hook is a bit more in depth, but still very much your typical guilty pleasure: “I want to be your super love/ I wanna be inside your super love/ I need the spirit with the sexual/ I wanna be inside your super love.” Kravitz continues to produce hit after hit. “Everything” is simpler than most cuts, but its ‘no frills’ approach is what makes it work so effectively, even if it falls short of being ‘the valedictory cut.’ “I Can’t Be Without You” features a nice subtler vocal from Kravitz, giving the effort a nice change of pace. The bridge to the refrain helps to accelerate the intensity of this enjoyable, nearly five minute cut. Clocking in close to six minutes, “Looking Back On Love” finds Kravitz achieving some grand vocal grit. As always, instrumental solos are always a high point worth noting. “Life Ain’t Ever Been Better Than it is Now” reminds one of Prince’s “Musicology” given how Kravitz vamps over a solitary chord (minor), employs a big memorable bass line, and let’s not forget trombone playing by hot commodity Trombone Shorty. Overall Black and White America is a masterpiece. A crossover between genres of rock, soul, pop, funk, and gospel, this effort is easily one of 2011’s most creative, attractive and elite albums. Superb.